Be the first to hear about their new releases and deals. 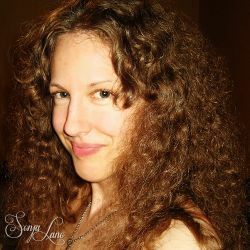 Download the Booksprout app and search for Sonya Lano today! Some parts of my journey have been like a fairy tale: dancing at glittering balls, running away to a city of spires, finding love on cobblestone streets and marrying in a fairy-tale castle. Other parts have been a nightmare, such as having my heart broken in a foreign country and divorcing in a court of tears. I write to sweep myself away from the sometimes virulent reality of the waking world. In the dark of night, alone in this beautiful city of spires, I write love stories and dark fairy tales, epic fantasies about fire-sellers and guild dancers, dystopias with winged humans in caged cities, and I hope one day for another chance at the enchantment called love.